Home/Frequently Asked Questions About Educational Leadership/What is the Difference Between a PhD in Education and an EdD? If you’re looking to advance your credentials to the doctoral level, you may be wondering what the difference is between a PhD in Education and an EdD. Both are terminal professional degrees offered at the highest level of academia. Typically, graduate students pursuing a PhD or EdD have already obtained a master’s degree in education (please see: 15 Most Affordable Online Master’s in Educational Leadership Degree Programs)and acquired several years of teaching experience. Getting a doctorate is particularly useful for graduates seeking to unlock advanced leadership roles in academia and educational administration. Although both provide rigorous, in-depth training studying key educational issues, their aim is slightly different. Below we’ll take a closer look at what’s unique about a PhD in Education and an EdD. A PhD in Education is a scientific, study-based program designed for doctoral candidates with clear research interests in educational policy. PhD students work closely with a faculty advisor to gain hands-on practice in conducting innovative research on topics like literacy, child development, educational technology, and school leadership. Most PhD in Education programs will require at least four to six years of full-time studies. This includes the completion of an original doctoral dissertation project and oral defense. 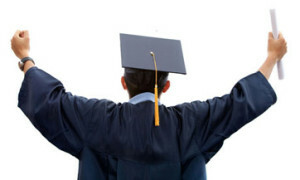 Coursework mandated for a PhD degree will include statistics, research methods, learning theories, and policy analysis. Graduates will have attained expertise in their unique field of educational inquiry. On the other hand, EdD programs offer a more applied, practice-oriented curriculum for graduate students interested in becoming advanced school leaders and practitioners. Rather than dwell on conducting research, EdD students use empirical research findings and devise applications for solving real-world school teaching problems. Most will provide deep insights into the corporate, administrative side of education with the goal of improving district practices. Coursework may delve into topics like curriculum development, organizational management, finance, principalship, and program evaluation. EdD degrees typically require at least 60 units of advanced training beyond the master’s level. An applied thesis or internship may take the place of the traditional dissertation. Which program you select will depend on your chosen career objectives. For instance, the PhD in Education is more ideal for students seeking a more scientific career. Graduates may become college professors, government researchers, sociologists, development specialists, policy analysts, curriculum coordinators, or chief academic officers. Some even pioneer cutting-edge research on an international scale. Earning an EdD degree is more suitable for individuals with applied field career dreams. Graduates from these programs could become school principals, educational psychologists, district administrators, superintendents, special education directors, student services directors, and college deans. EdD students could also train new teachers in university classrooms as professors. Most elementary and secondary teachers need only a bachelor’s or master’s degree, but going the extra step to receive a doctoral degree will open new doors of possibility. Even though receiving a doctorate will be tough work regardless of the degree chosen, the effort can pay off greatly with higher income potential and greater leadership responsibility. In fact, the U.S. Census shows that average lifetime earnings after a doctoral degree in education are a whopping $2,802,000. Now that you know the difference between a PhD in Education and an EdD, you can select which one will provide the right pathway for a bright future in the educational field.